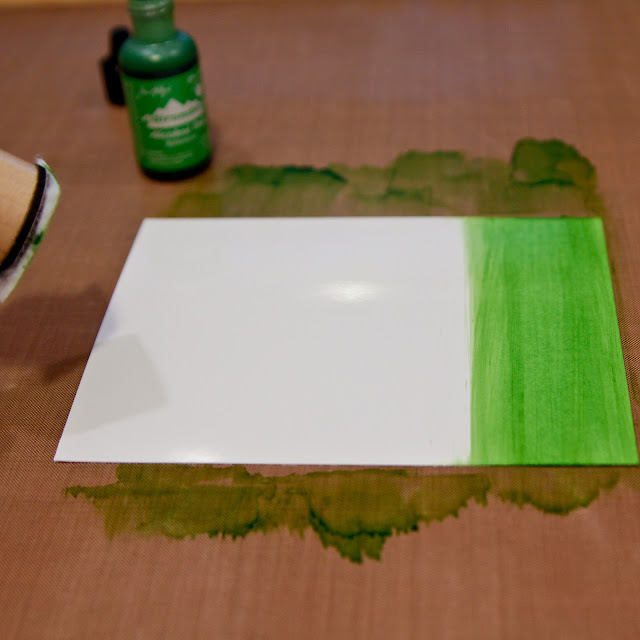 -i'm pretty sure i'm the last one to know about this cool technique from tim holtz but just in case i'm the second to last...i started with a 4-1/4 x 5-1/2 piece of glossy cardstock and i worked on my non-stick sheet. 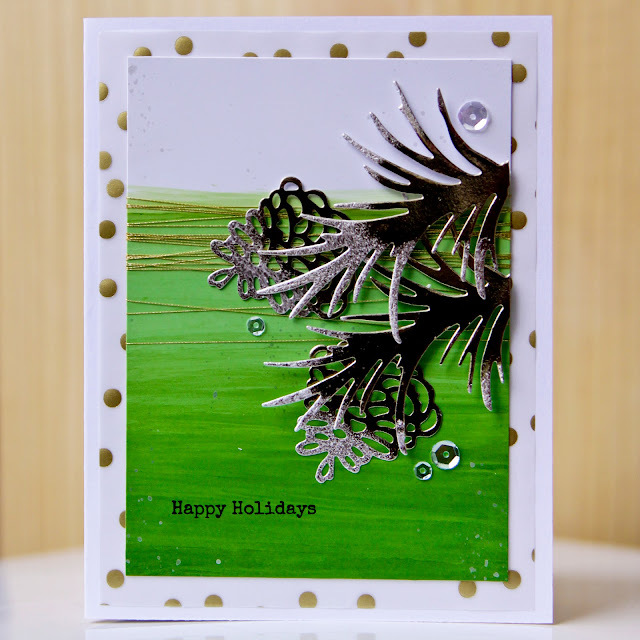 -on my alcohol ink applicator i applied a few drops of botanical alcohol ink and then i used it to make a thick strip of green on my cardstock. -then i applied a few drops of alcohol blending solution to my applicator and continued to make "stripes" on my glossy cardstock. 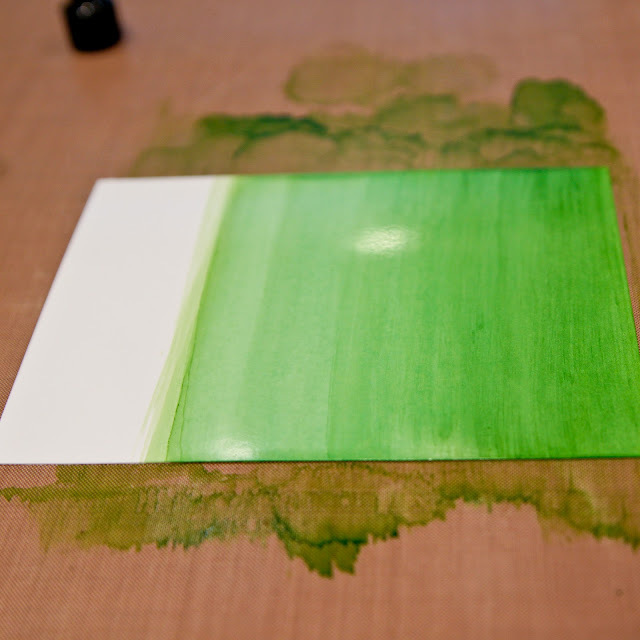 as it dried, if my stripes were too dark i applied more blending solution, if they were too light i applied more ink. so easy right?! -to complete my card i trimmed my ombre background to 3-3/4 x 5. i wrapped some gold thread around the top third and secured it on the backside. 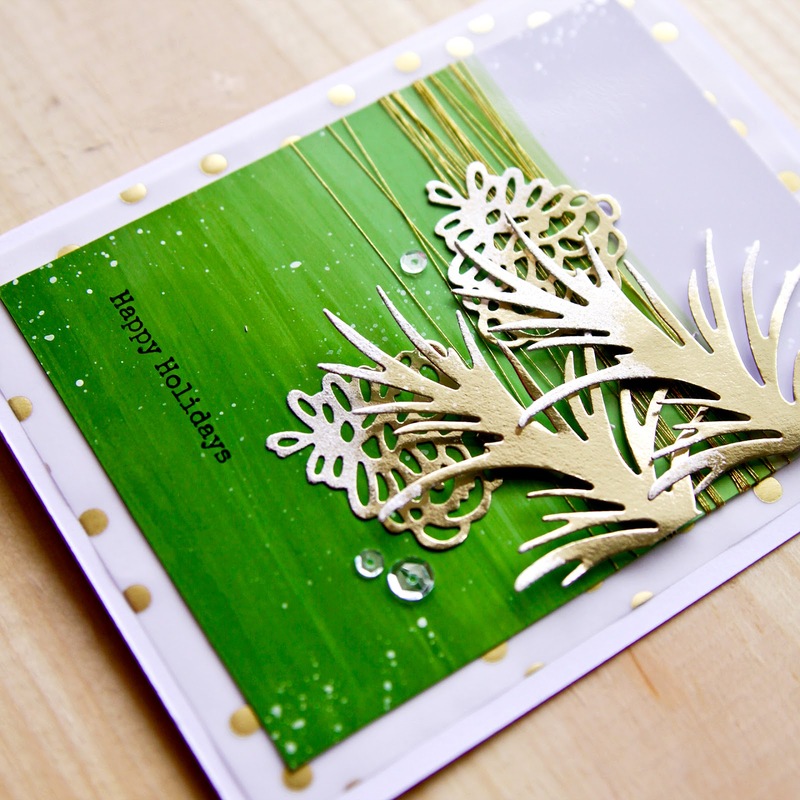 -i die cut the pine branches and pine cones from the essentials by ellen poinsettia & pine set out of gold foil. to the ends of my die cuts, i added a little "snow" with pearl metallic paint. -i adhered the pine cones to the ombre panel and foam mounted the pine branches. -to complete the ombre panel, i added a sentiment from the essentials by ellen tis the season set; added a few clear sequins; and added a little pearl splatter. -i adhered the ombre panel to a 4 x 5-1/4 piece of gold dot vellum and then to a solar white card.